For those who will be experiencing it for the first time,&nbsp;AthFest is a festival to celebrate Athens, Georgia music and arts.&nbsp; Local and regional musicians, artists, performers, and other creative minds will showcase their work throughout the downtown area of Athens, GA. As music is the force that drives the Classic City, it is also the focus of the festival featuring 3 outdoor stages hosting 3 days of shows from an impressive line-up of headlining acts at no charge to the public. Some very exciting performers headlining this year include: Futurebirds, the pensive alt-country band will stop back home in Athens from their tour promoting the blossoming success of their current album; Guadalcanal Diary, will celebrate the 30-year anniversary of their formation as pioneers of 80&apos;s Southern indie-pop; Jason Isbell &amp; the 400 Unit, the soulful blues rock group with honest, poignant lyrics will play the sounds of the South. The second and main stage outdoor performances are just the icing on the AthFest cake, though. The "club crawl" event taking place Friday and Saturday night will feature a diverse line-up of local bands and artists performing at around 12 of the best music venues in town. Think 40 Watt, The Melting Point, Little Kings, Caledonia and more. The venue schedule features some exciting Athens favorites, both the weathered and up-and-coming alike, filling virtually every stage in the downtown area. Some exciting performances to look out for: Hope For A Goldensummer, the recently re-emerging folky sister sirens will bring their haunting Southern voices to Little Kings Shuffle Club; Modern Skirts, the still buzzing alt-rock band return their harmonic success to the The Melting Point; Reptar, the young, fresh electro-pop band of boys will beam their high energy to a sure-to-be-dancing crowd at the 40 Watt; Twin Tigers; the dynamic and melodic sounds of their strong Athens influences will be heard at Go Bar. These among a total of around 200 other amazing bands and artists performing in venues and outdoor stages throughout the 3 days of music make the options endless and the choices impossible. The Athens Convention &amp; Visitors Bureau is also running a text-to-win&nbsp;promotion&nbsp; for a chance to win an overnight AthFest package. Just&nbsp; text DAWG to 95495. For more contest information, see VisitAthensGA.com.&nbsp; For&nbsp;complete AthFest details, visit our event page. In addition to an incredible musical agenda, the festival also showcases some very exciting comedy acts, dance performances, and film screenings. Notable events include: Laughfest comedy show, June 22 at the 40 Watt, the 2nd annual comedy showcase featuring nationally touring acts such as Dan Telfer and TJ Young with many other hilarious Athenians; WIRED 2011: Athens Dance Music Festival, June 25 at New Earth Music Hall, a showcase of the most talented regional electronic artists playing fresh variations of dubstep, experimental hip-hop, electro-house, and more; AthFest FilmFest 2011, June 22-26 at Cine, daily screenings of Athens-based rock docs, short films, teen screen, and more; Flagpole Music Awards, June 23 at the Morton Theater, the magazine&apos;s annual ceremony recognizes local bands across every genre and category who have displayed impressive musical creativity. 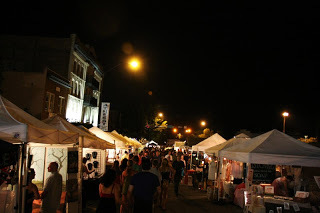 Another large component of the AthFest ensemble of events is the Artists Market which is made up of over 40 booths featuring the original artwork of around 50 local artists. With exhibited work in forms across almost every medium, regional artists and craftspeople compete for cash prizes accompanying the best in show, second place, and 5 merit awards that will be granted to the top works exhibited. 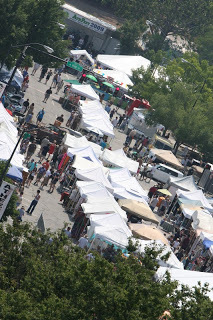 The works of art displayed in the Artists Market will be available for viewing and, some, for sale. 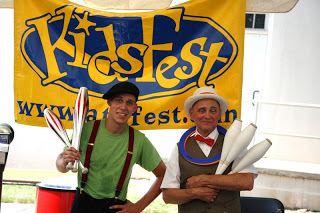 At the corner of Washington and Lumpkin, tents will cover the KidsFest area with a multitude of crafts, games, workshops and family-friendly musical performances. A KidsFest parade, art contest, open mic opportunity, and songwriting workshop top a longer list of awesome events and creative opportunities for kids of all ages. Focusing strongly on the bulging schedule of family-friendly activities, AthFest caters to the kids who are, after all, a large part of the motivation behind the entire event. 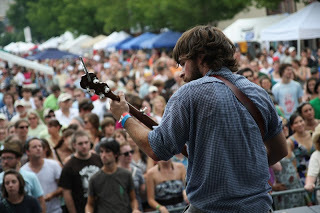 All proceeds from the festival go to AthFest Educates!, a program aiming to integrate educational music and arts programs into local schools. With arts and music education at the center of it&apos;s efforts, AthFest, as a component of the non-profit AthFest organization, shares the beauty and necessity of local creativity with the community and beyond.